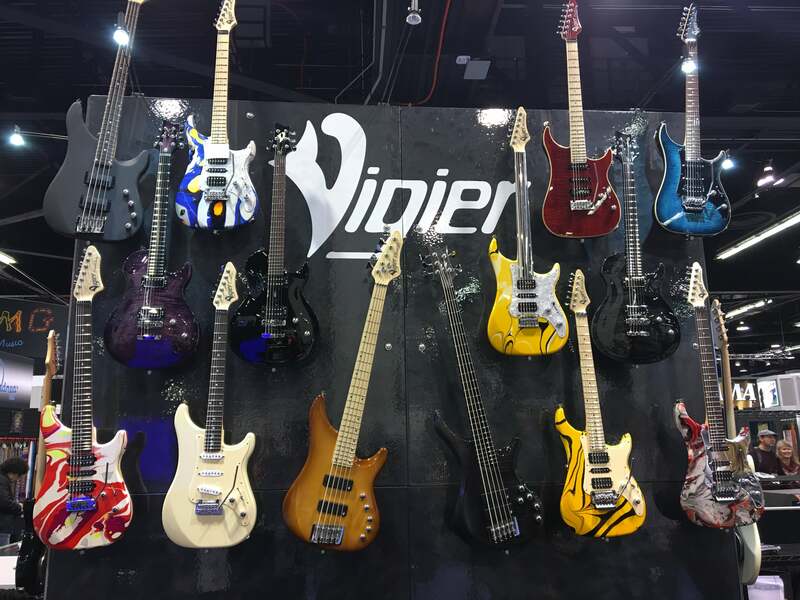 Vigier Releases New Model and Special Display Guitars At NAMM 2019! For NAMM 2019, the incredibly well-built Vigier Guitars from France have released their new GV Hollow guitar, which takes the classic single-cutaway design and adds some top sound holes and chambers to the body, giving the guitar a lighter weight and a bit of an airier tone! Winter NAMM 2018 Coverage: Right on the floor of the Winter 2018 NAMM show, we're here at the Vigier booth discovering some exciting new things from the company, a new finish entitled Velours Noir. NAMM 2017: The Music Zoo is an Authorized Vigier Guitars Dealer!